← Ready to roll – ready to stop?!!! I’ve noticed quite a few people from Australia have been viewing my blog recently. This could be because of a current visit to the UK by Jo Watson, who I knew from Berkeley Castle days, and with whom I’m hoping to meet while I’m at the Royal International Air Tattoo in a couple of weeks. This brings to mind the fact that my father’s first operational posting was with 456 (Australian) Squadron at Valley in Anglesey in 1941. He teamed up with an Australian gunner who became one of his best friends in the war: Stanley Wheatley Greenwood, from Melbourne, Australia, known as ‘Ack’ to his friends. 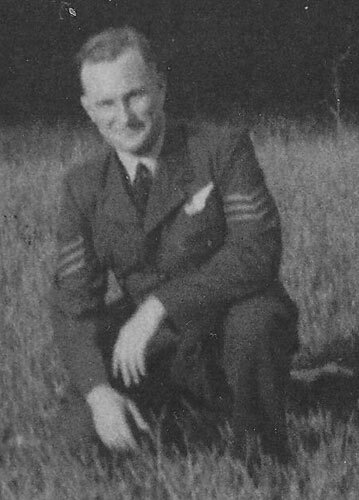 This lovely man was killed in a flying accident during an exercise over Lytham St Anne’s in North West England in 1942, while my Dad was away on detachment elsewhere, and Dad was heartbroken about it. The Defiant, flown by Pilot Officer Olney, flew too low over Fairhaven Lake along the shoreline and crashed into the sands. Both pilot and gunner were killed instantly.